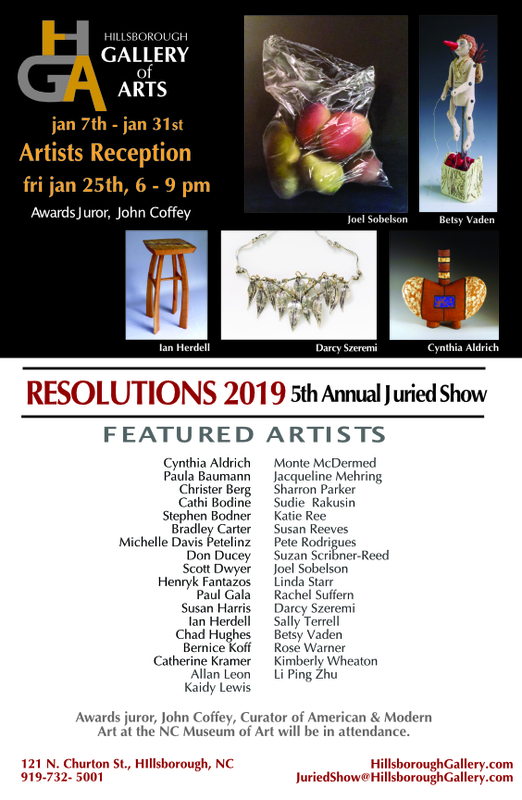 The Hillsborough Gallery of Arts is having a January Exhibition entitled Resolutions 2019. The show runs from January 7 -31st with the artists reception on January 25 from 6-9 PM. PSNC’s Joel Sobelson is a featured artist in this show.